This is my first ever year-end blogging recap, a tradition a lot of bloggers do annually. I do realize it is important to always take a step back and look at what has happened in the year that has passed - remember the bad with the good, learn from mistakes and grow because of them. I made 92 blog posts in 2010, 93 including this one. That's 57 posts less than last year when I posted a record 150 posts to jump-start my return to blogging. 2010 was simply a much busier year for me in general, and so it allowed me lesser time to blog. 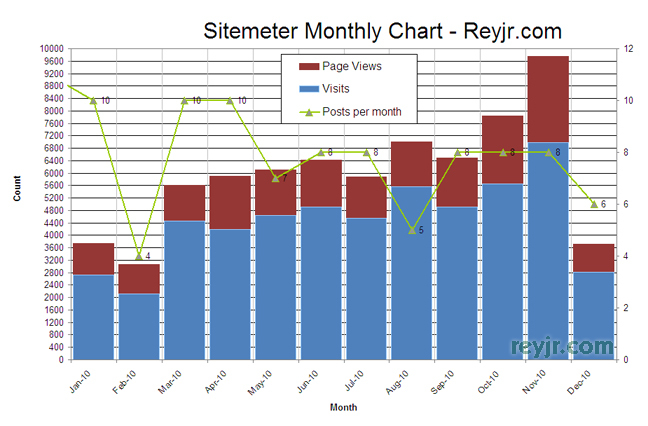 Despite the lesser posts though, according to Sitemeter.com, Reyjr.com received around 71,500 hits this year compared to 31,000 last year - that means it averaged almost 6,000 hits per month in 2010 compared to 1,400 per month in 2009. On a daily basis, it means Reyjr.com received about 195 hits per day, although there are still days when there are only 30 hits or less. This year, I began a series called "Earning 10 in 2010" which tracked my earnings online via Reyjr.com and my Twitter account on a monthly basis. I was a successful run, I would say, despite the limited posts and traffic, I managed to surpass my 2010 earnings target by a mile. I have decided to end it this year with my December 2010 Online Earnings update to be published in January 2011. Reyjr.com still doesn't have a niche although I had wanted to go the Travel Blog route, but couldn't really just stick to Travel as a singular topic. I did post several Travel blogs this year - some new destinations, some nostalgic posts reminiscing about my past adventures - the stories transported us to Ilocos Norte, Pampanga, and Batangas, and to countries like Thailand, Singapore and France. I also wrote about our memorable Parasailing turn in Boracay! 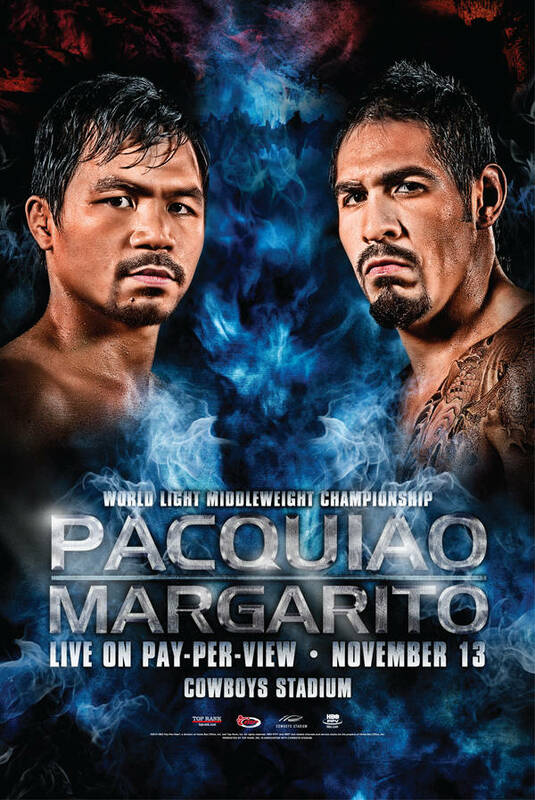 My blog posts about the historic Philippine Elections, Jejemon, Manny Pacquiao vs Antonio Margarito and the Charice Billboard Watch are my most visited posts this year - according to Google.ph they are also the most searched in 2010. My favorite posts this year include my "World AIDS Day" post, my Presidential elections primer "How will you choose your next President? ", and when I asked everyone "What does your weekend smell like?" - then turned the tables around and let everyone "Ask Me Anything" Formspring style. A notable personal post this year was "My Self Indulgent Birthday Blog Post" which turned out to be one of my most popular posts of the year as well, Haha! In 2011, I am planning to post more but expecting to earn less as I will be turning Reyjr.com into the personal blog it was originally intended to be. Watch out folks, it's going to get personal. Hehe. Why the change? I am surprised sometimes when I find out who actually reads my content, so now I've taken to developing and harnessing this voice that I have been granted. I feel it becomes a waste if I don't. Another important aspect of blogging I want to accomplish is to create the "Reyjr.com brand" - what that brand should be, I am still not sure, but I intend to discover it in 2011! More Travel Blog posts - Hawaii, Salzburg, Vienna, Dubai, Oman, and many more. A big announcement - something I want to tell the whole world about! Soon!